Heart disease is the world’s largest killer. Humeds protects you. For the first time, monitor your three lead heart signals and obtain a medical-grade ECG in just 30 seconds. Track abnormal heart rhythms and arrhythmias. Share information with your medical expert and, through a device that gets smarter every time you use it, catch your symptoms early. For the first time, monitor your 3 lead heart signals and obtain a medical-grade ECG in just 30 seconds. Track abnormal heart rhythms and arrhythmias. Tracks your 3 lead heart signals, irrespective of skin or hair type, and learns through artificial intelligence. Turn it on, place it against your chest and press record. No wires or gels needed. Catch symptoms exactly when you feel them. Just slip it in your pocket and use it discretely on the go. Set up different sharing profiles. Keep your family reassured and give your Doctor powerful new insights. Free shipping in the UK. It's within everybody’s reach. Backed by extensive medical research and EU approved. 14-day money back guarantee if you are not satisfied. 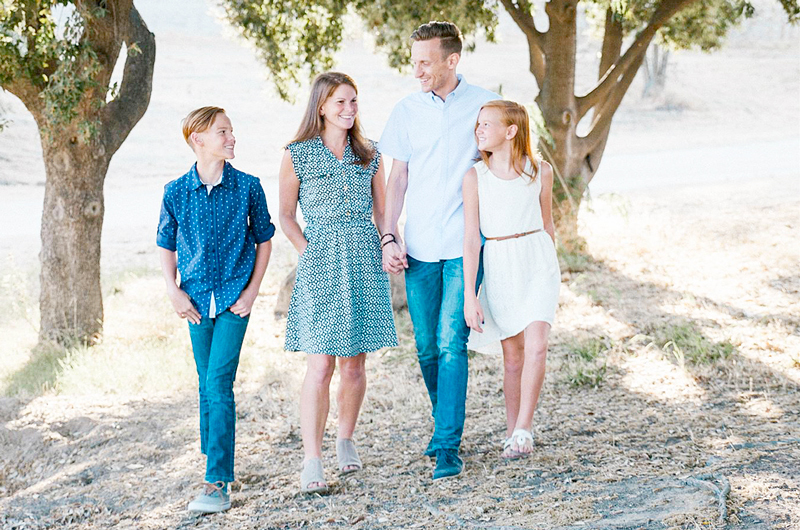 Since my husband had a congenital heart defect, it was very important for us to have regular control with his cardiologist, for him and our children. Since we live miles from our Doctor, it took a lot of time and money. Having Humeds has changed everything! We can now check his ECG, anytime and in a matter of seconds. We can get our Doctor’s opinion, without the need to leave our house. It is so easy to use, that even our eleven-year-old son has learned to record his own ECG. It is not easy to receive the exact diagnosis when dealing with arrhythmia. By the time I got to visit my Doctor, my symptoms were usually gone. When my symptoms would occur, I previously had no way of capturing them. There was no adequate ECG technology to provide my Doctor with the right information. 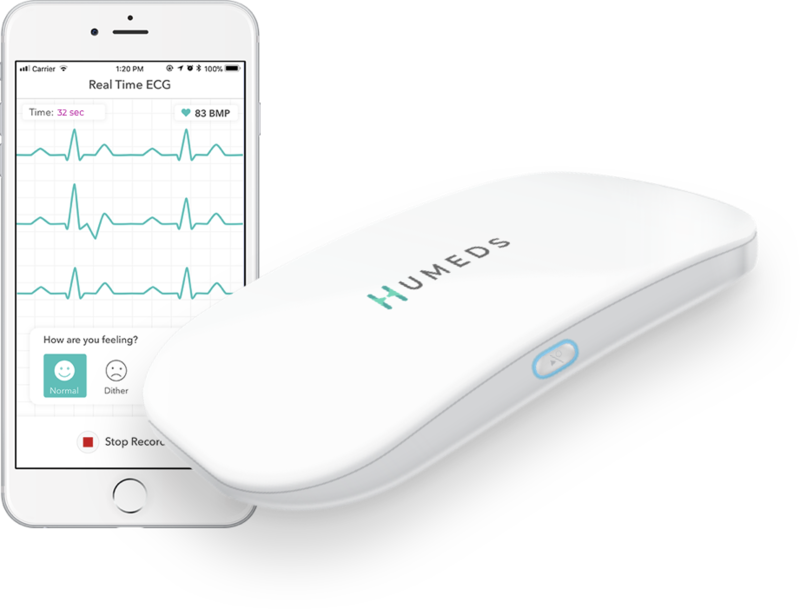 With Humeds, I am finally able to track my ECG anytime and get the proper treatment. 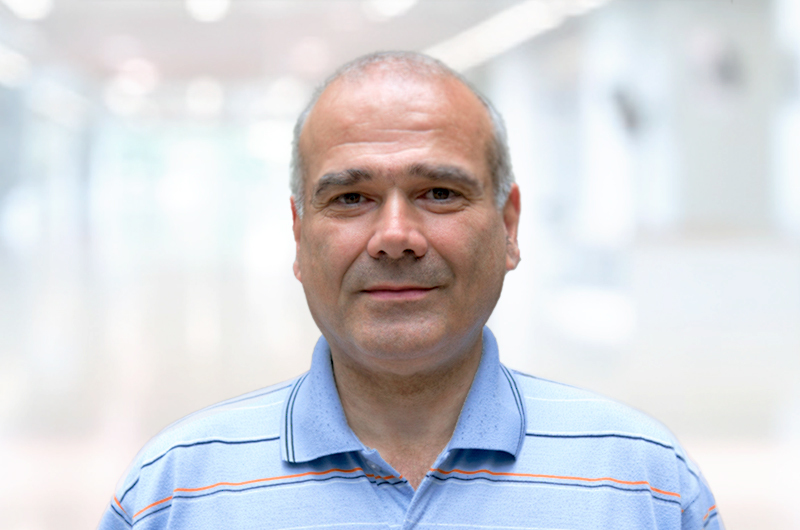 I read the statistics that after a heart attack, the risk of another one within the next five years is 13% for men and up to 40% for women. Of course, I now worry that it could happen again. And I no longer want to rely only on medications. 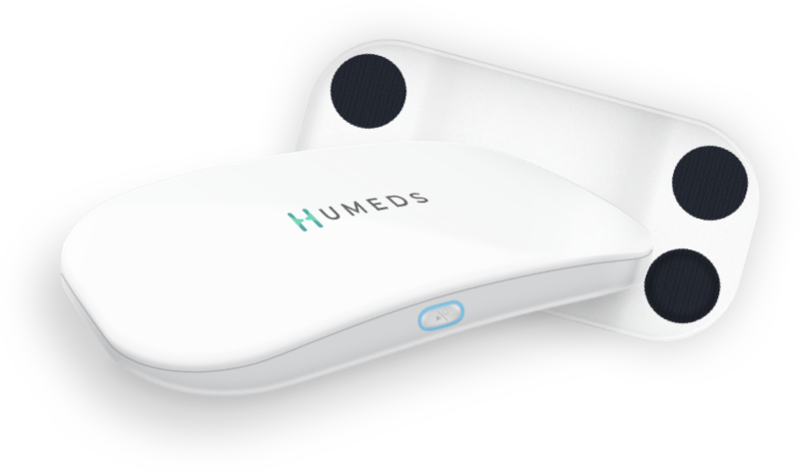 With Humeds, I can record my ECG whenever I feel any of the symptoms, no matter where I am. Being able to get my Doctor’s opinion so quickly is a huge relief. 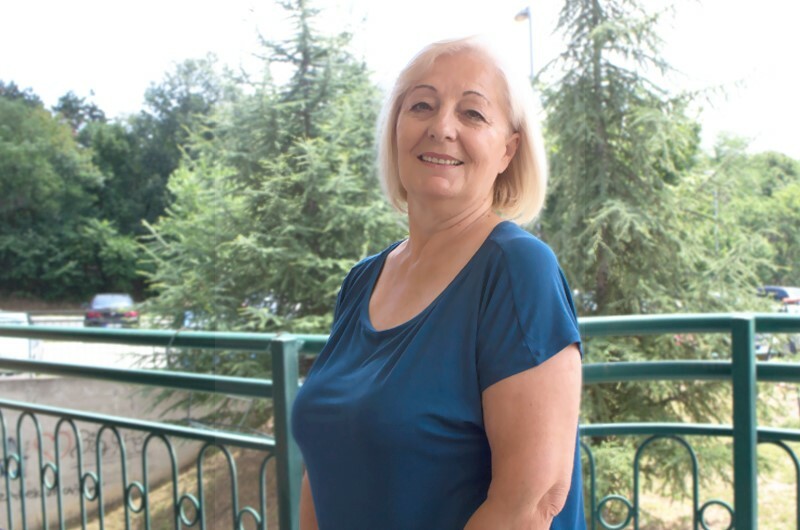 Dr. Ida Jovanovic – Head of the cardiology department, University Children’s Hospital in Belgrade, Serbia; Professor at the Faculty of Medicine, University of Belgrade; Independent expert on the quality of electrocardiograms. Extract from the Clinical Investigation Report into the validation of Humeds for fast detection of heart rhythm disturbance. Published in May 2017. Every purchase of Humeds includes our basic service free of charge. Get comprehensive control with advanced analytics, unlimited storage and more, with a Premium membership (Free trial for 30 days*). * Your 30-day free trial begins from the time you create an account with the Humeds App. If you subscribe to Premium, you will not lose your free trial period. Swipe left to see more info. 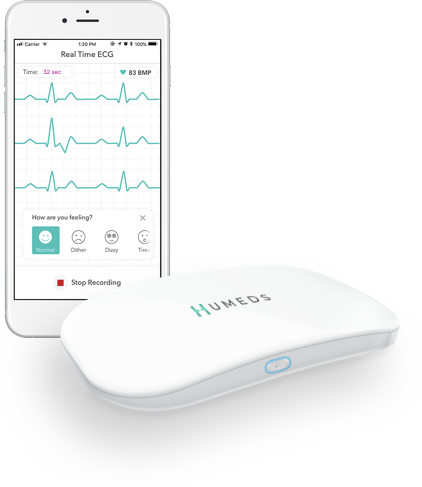 Take control of your heart health with Humeds – the world-leading portable solution for fast, automatic and remote ECG monitoring and cardiac diagnosis. When it's your heart, it just can't wait! Sign up to receive the latest Humeds news.